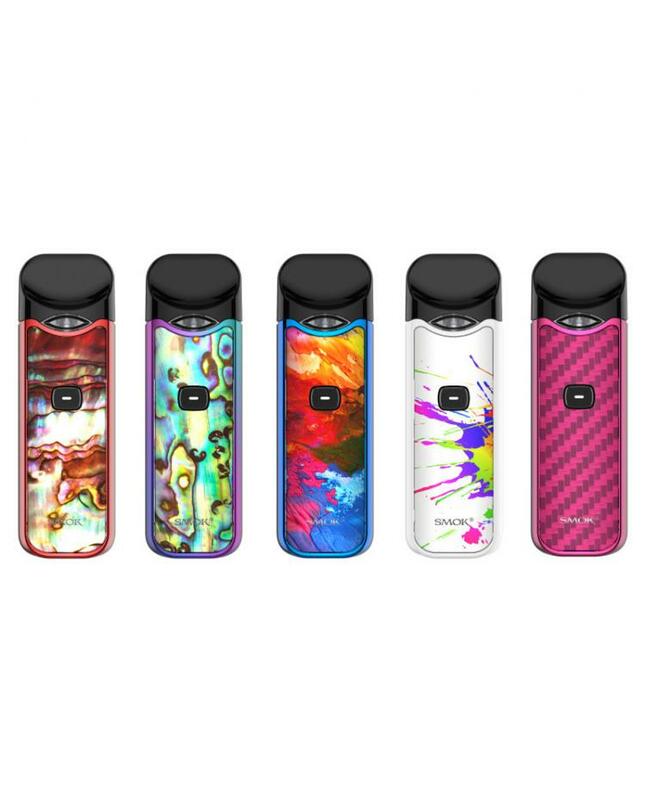 Smok Nord Pod System, which is a little bigger than Novo Pod Kits, but still with the ultra-portable design and pocket-friendly size. comfortable to hold. the new pod kit with one button operation design, vapers need to fast press the button five times to power on the device and long press the button to vape. it with the improved mouthpiece, with a lip curve on it, the mouthpiece could perfectly fit your mouth and offer the better user experience. the new Vape Kit built-in 1100mah battery can charge the battery via micro USB port. there is a LED light on the button, press it twice then Red, Orange or Green light will be on, it will show you the battery life smartly. the replacement vape pod can hold 3ml e juice, the 0.6ohm mesh coil for regular e-juice, and 1.4ohm regular coil included in the kit optimized for nic salts, and 1.0ohm ceramic coils sell separately. the 1.4 ohm regular coils for MTL experience lovers high concentration of vapor, the 0.6ohm mesh coil for sub ohm vaping, will bring you the massive vapor. and the ceramic coil can works at a higher wattage and provide the optimal taste. the Smok Pod System Kit provides multiple types of protections to avoid potential risks, ensure the vape safe and reliable. 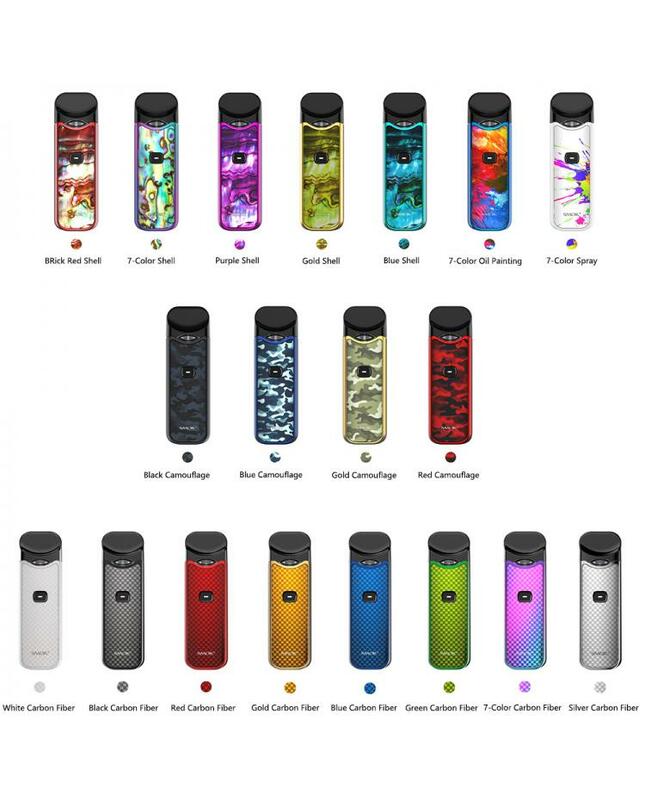 best smok Nord Pod System will bring you a better vaping experience.